Dell has acquired Gale Technologies, a developer of automation software that allows streamlines the deployment of on-premise and hybrid clouds, for an undisclosed sum. Gale Technologies, which is based in Santa Clara, California, offers management and orchestration tools that turn discrete compute, network and storage components into integrated and highly optimized application, virtual desktop infrastructure. Gale Technologies said its solution delivers automated physical and virtual resource allocation, preserves best practice enterprise infrastructure deployment through reusable templates, and masks that complexity from the end user to provide a valuable enterprise asset. Gale was founded in 2008. 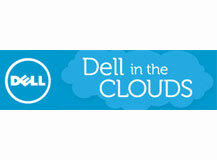 Dell plans to integrate Gale with its own Active Infrastructure family. Separately, Dell announced the creation of a new Enterprise Systems & Solutions division, which will be headed by Dario Zamarian. 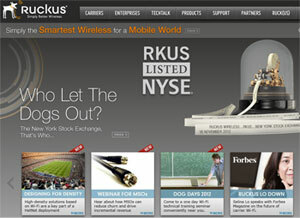 Shares in Ruckus Wireless began trading for the first time(NYSE: RKUS). The company priced an initial public offering of 8,400,000 shares at $15.00 per share. Trading closed on Friday at $12.25, down 18% for the day. Ruckus Wireless, which is based in Sunnyvale, California, markets and manufactures a wide range of indoor and outdoor “Smart Wi-Fi” products for mobile operators, broadband service providers and corporate enterprises. The company is headed by Selina Lo, who is previously known for her work with Alteon WebSystems and Centillion Networks. Ruckus Wireless began operarations in 2004 and received funding from Sequoia, Sutter Hill, Investor AB, Motorola Ventures, T-Ventures, Telus, Firelake Capital, Focus Ventures. Ericsson appointed Mats H. Olsson as Senior Vice President Asia-Pacific (APAC). He currently holds the position as Head of region North East Asia, a position he has held since 2010. In this new role, Mats will become the chairman of the three Ericsson regions located in APAC, region North East Asia, India and South East Asia & Oceania, respectively. In his new position, Mats will represent the CEO and the Group overall in APAC, reinforcing Ericsson's commitment to its existing and potential customers in the region.